For the answer, I turned to my friends at NatruraTurf who focus on green alternatives to traditional fertilizer products. I will be referring to information contained in their “Go Lay an Egg (Shell)” blog post on the NaturaTurf site. 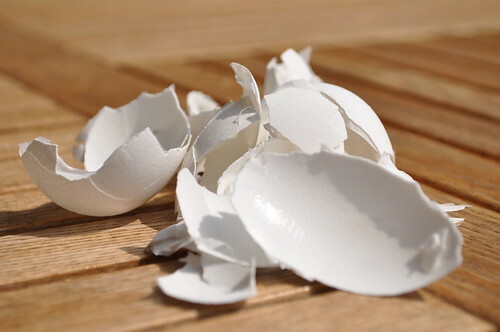 Egg shells are made up of 95% calcium carbonate. Calcium is a valuable nutrient for the soil, and it is essential to cell growth in all plants. The upside to using egg shells is that the shells can easily be applied to the soil for additional calcium. The egg shells should be crushed as much as possible to help accelerate the break down process of the shells in the soil. The downside to using egg shells is the time they take to decompose. It can take awhile, a better plan is to supplement the egg shells with gypsum. A high quality gypsum project will add calcium and other nutrients to the soil at a quicker rate. Also, the shear volume of egg shells needed is an issue. “THE AVERAGE EGG SHELL WEIGHS IN AT A WHOPPING 5 GRAMS OR .176 OUNCES. IT WOULD TAKE 181,818 EGG SHELLS OR 15,151 DOZEN EGGS TO EQUAL A TON OF 98G” – Source Fun Fact, Naturaturf Website. This post should give you a little bit more background on egg shells and the role they can play with respect to soil nutrition. If you know of some other valuable options for egg shells, please let me know. I think we are still a long ways from knowing how to use egg shells effectively and efficiently.